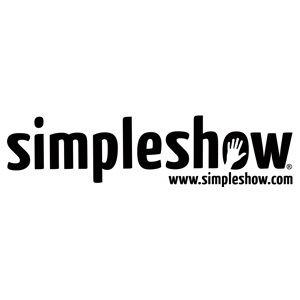 Simpleshow, the award-winning explanatory video production company, has just incorporated simpleshow asia Pte. Ltd. The company is looking to produce and market simpleshow, a very successful ‘infotainment’ video clip format, throughout Asia, with Singapore as a starting point. The simpleshow is a video format which explains complicated topics simply and succinctly, using only paper drawings, two hands and a well-composed mix of text, images and sounds. The scalability of the production process has allowed simpleshow to produce clips for hundreds of global brands such as Microsoft, eBay, Mercedes Benz, Shell and Procter & Gamble. The format has been adopted in over 40 languages since 2008. In a bid to develop the business to reach a critical mass across Asia and to launch new initiatives in the field of education and sustainability, simpleshow seeks to establish a presence in vibrant Singapore. “We view Singapore as the ideal platform to launch a business in Asia. The ecosystem is in place to help scale a business: we have the possibility to recruit a skilled team, the Asian headquarters of many of our clients are here, and last but not least the Singapore government makes it very simple to start up and finance a business,” explained Ms Bernard-Brunel. To that end, simpleshow partnered with Singapore incorporation specialist Rikvin for Singapore company registration, corporate secretarial services, as well as work visa services. “We got a referral from several business partners and our experience so far has been excellent. We have consulted several incorporation service providers but none has matched the promptness and service level we received from Rikvin,” Ms Bernard-Brunel affirmed. Simpleshow is a German company with head office in Stuttgart and additional offices in Berlin, London, New York and now Singapore. The simpleshow is a video format that is used to explain complicated topics simply and coherently in just three minutes – and that with the help of only paper drawings, two hands and a well-composed mix of text, images and sounds. The standardized and scalable production process has allowed simpleshow to produce films for hundreds of customers in 40 languages since 2008 – including global actors such as Microsoft, eBay and Mercedes Benz. On-going quality management is a key success factor and undoubtedly one of the reasons for the high number of recommendations from satisfied customers. This is made possible by the “simpleshow academy”, which provides proper training and certification for all team members. The overall concept of simpleshow has received numerous competition nominations and was awarded the German Prize for Online Communication in 2011 and the international Deauville Green Award in 2012. Further information can be found at www.simpleshow.com.